Cedar Rapids, IA – The Cedar Rapids Kernels are proud to release their first comprehensive community report. This report highlights the organization’s 2016 off the field efforts such as charitable donations, the Al Smith League of Dreams and the popular Kernels Summer Reading Program. 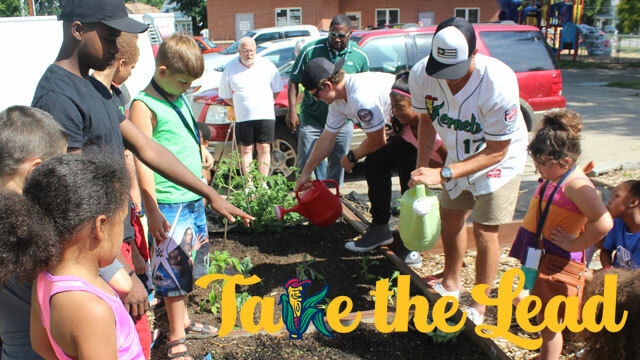 In conjunction with the “Take the Lead” community relations initiative, the Kernels want to show their commitment to being the community beacon for education, social and recreational programs in Cedar Rapids and surrounding communities. Notable achievements this year include 150 community appearances by the team mascot Mr. Shucks, contributing donations totaling $314,744 and local children reading 2,618,750 total minutes in the Kernels Summer Reading Program. Click here to view the Kernels 2016 Community Report. The Cedar Rapids Kernels are the Midwest League affiliate of the Minnesota Twins. For more information, visit www.kernels.com and follow the Kernels on social media on Facebook, Twitter, Instagram and YouTube. This story was not subject to the approval of the National Association of Professional Baseball Leagues or its clubs. The 201l IronPigs Charities annual report details all of the club’s initiatives from this past year. IronPigs Charities donated $106,000 to local non-profits over the last year, the highest yearly contribution to date. Established in October, 2007, before the IronPigs ever played a game, IronPigs Charities was created to provide educational and recreational opportunities for Lehigh Valley Youth. IronPigs Charities is presented by The Air Products Foundation. Thank you to The Air Products Foundation for their continuous support of IronPigs Charities and the Lehigh Valley community. IronPigs Charities is governed by a 13 member Board of Directors. The Board meets four times annually (March, June, September, December). The 2011 IronPigs Charities report can be viewed by clicking here. 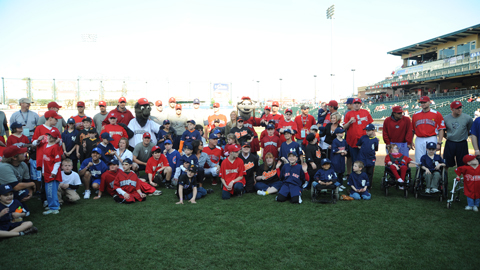 For more information on IronPigs Charities, please call Sarah Marten at (610) 841-1213.